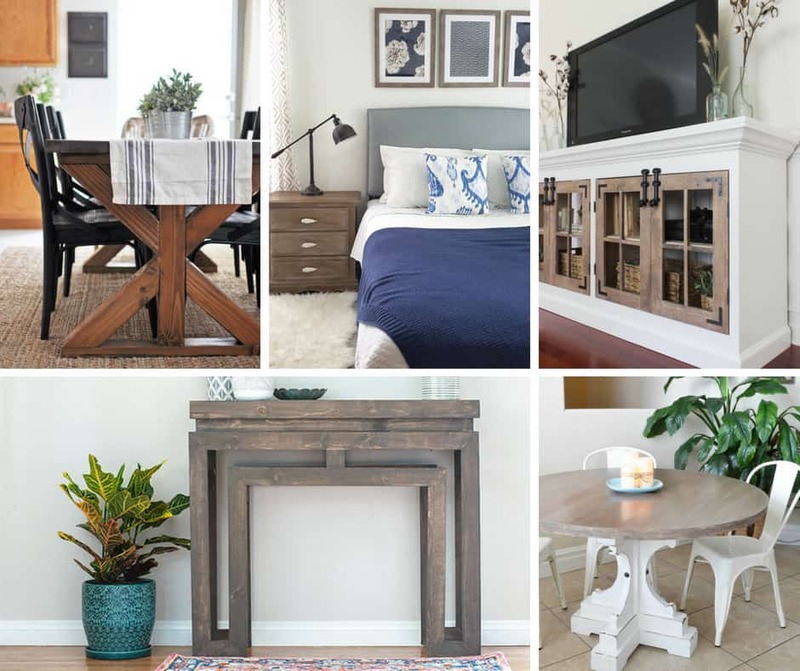 Farmhouse furniture ideas are vast, so finding the pieces that will work best for your home are key. Here are 20 charming ideas that will make any home decor a masterpiece! If you’ve followed my site for any time now, you probably have noticed that I love farmhouse decor. It fits my style perfectly and makes my home feel cozy and comfortable. Finding the perfect farmhouse furniture ideas for every room in the house is challenging though. Since I am on a mission to transform every room – except my daughters’ rooms, of course – into farmhouse magnificence, that’s a lot of furniture! 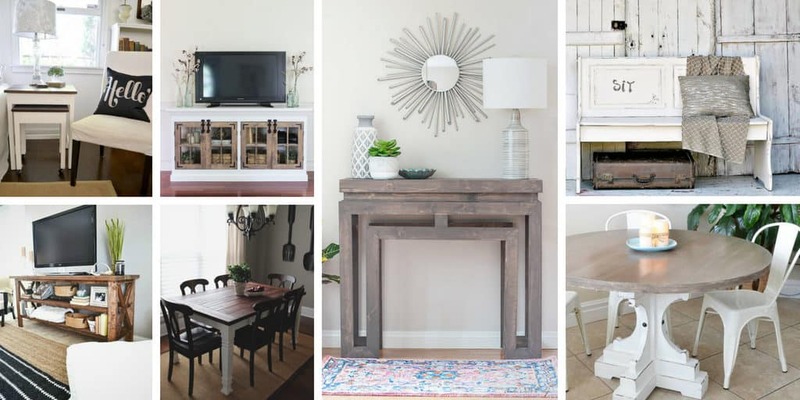 DIY farmhouse furniture not only saves me a lot of money, it also ensures that I’m getting the exact pieces that I need to complete the look I’m going for. The 20 charming pieces below include everything from dining room tables to side tables to a media cabinet that’s to die for. They do require some basic handyman skills and tools, but they’ll save you a lot of money compared to purchasing something at the store. Another perk to making your own farmhouse furniture is that you can paint it or distress it to match any color palette you already have. It’s a win-win! Check out the ideas below and let us know which ones are heading to your “must-make” list! 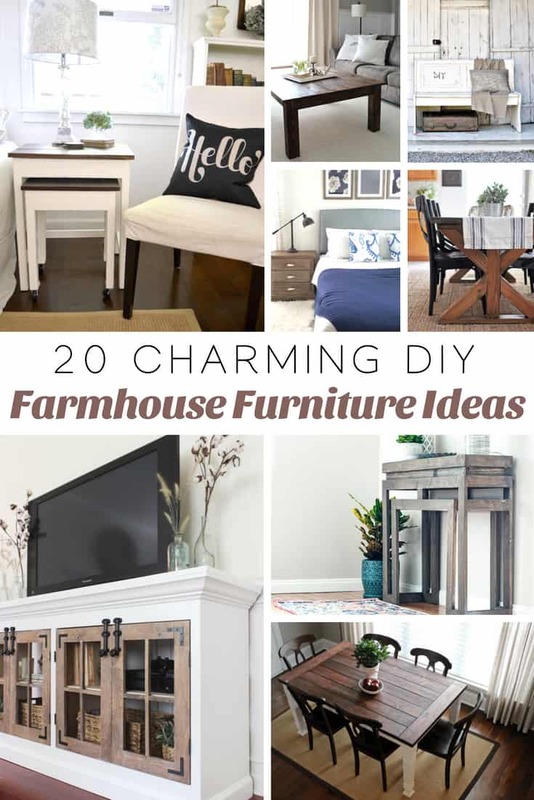 Have you made your own farmhouse furniture? Share it with us! You can post a picture on our Facebook group or tag us on Instagram @IWishIWasCrafty! We can’t wait to celebrate your creations!